Kings Instagram has been hacked. If you see crazy posts, it’s not from us. 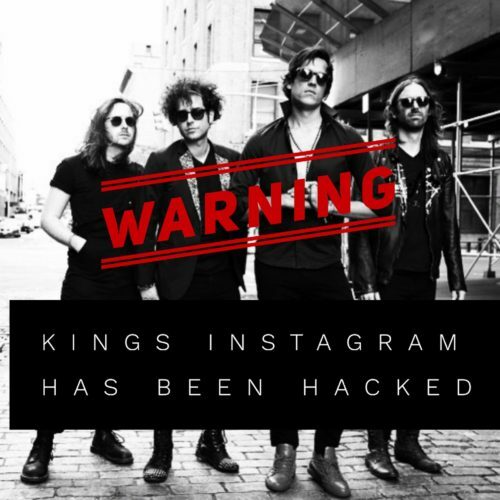 We’ve been tipped by authorities that a bi-costal alternative band may have stolen our passwords. Apparently, there name Faulkner with members from California and New York City. They attracted the attention of Mark Needham (The Killers), RZA (Wu-Tang Clan), and JP Bowersock (The Strokes) eventually releasing an album that was recorded at Rick Rubin’s house. I hear they are performing club Berlin tomorrow in NYC. If you have any information , please let us know. We hope to resolve this ASAP!